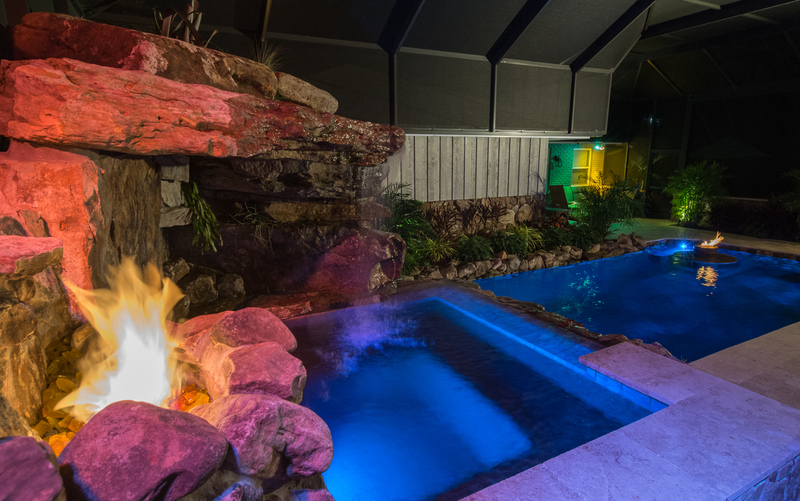 Pool designer Lucas Congdon and his crew take on the challenge of bringing the jungle to life in a suburban backyard. 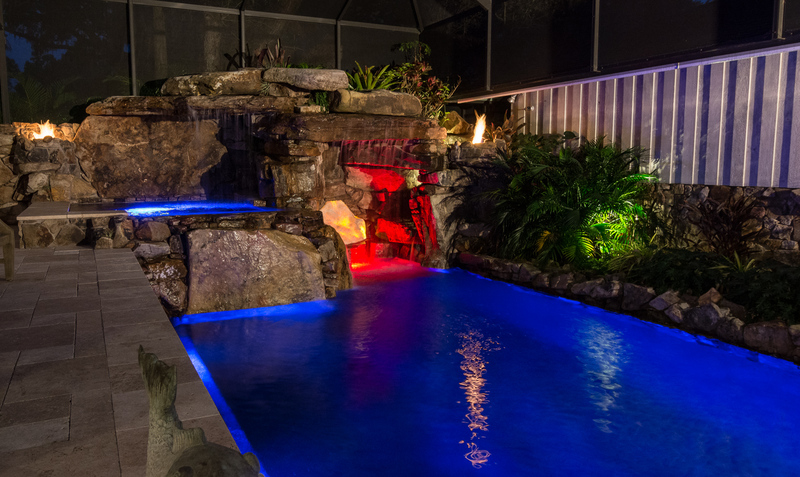 Starting with the challenge of a very outdated pool and a mash-up of design styles, Lucas opted to keep the rectangle pool shell, but that’s about all that stays the same. 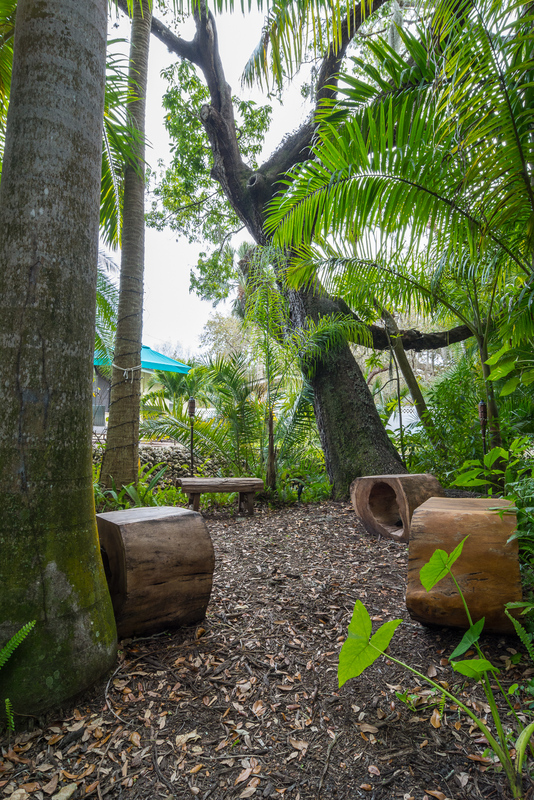 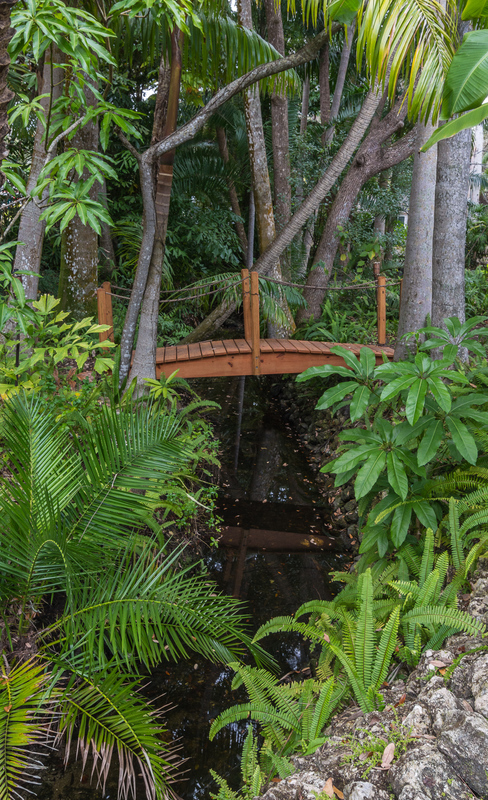 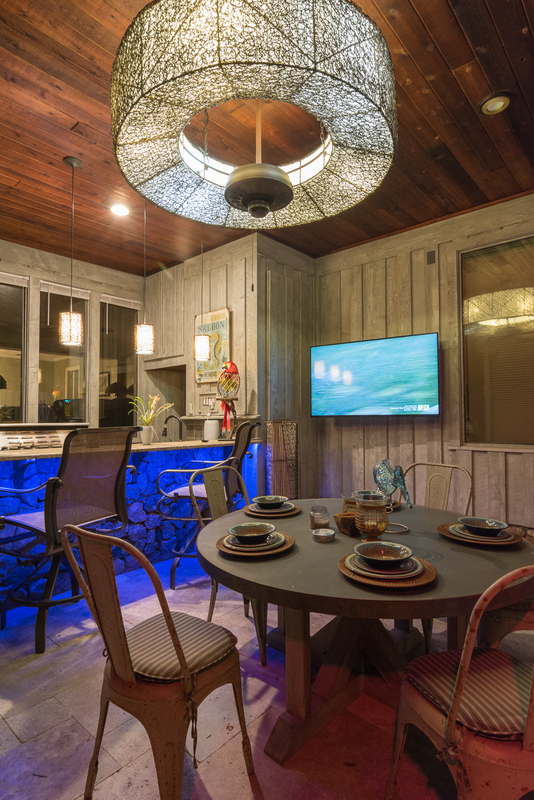 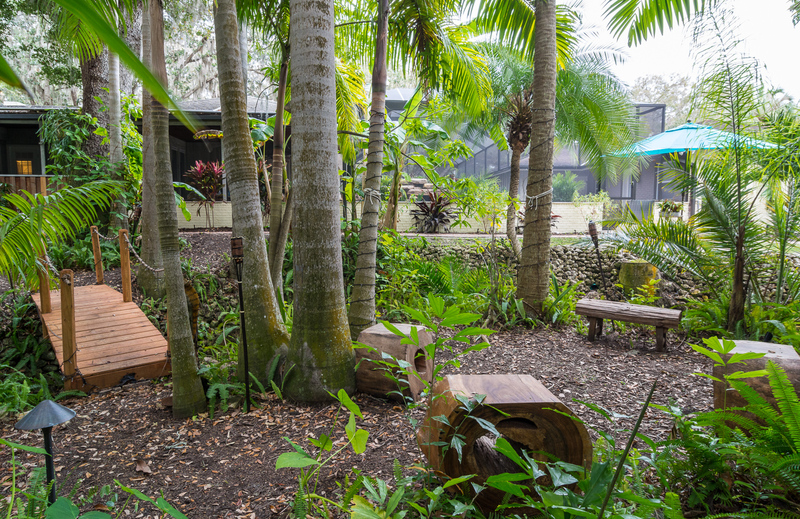 Inspired by the natural jungle-like features of the Belsito’s property, Lucas is challenged to create an outdoor living space to make family memories in that also leaves time for Dad and Daughter bonding! 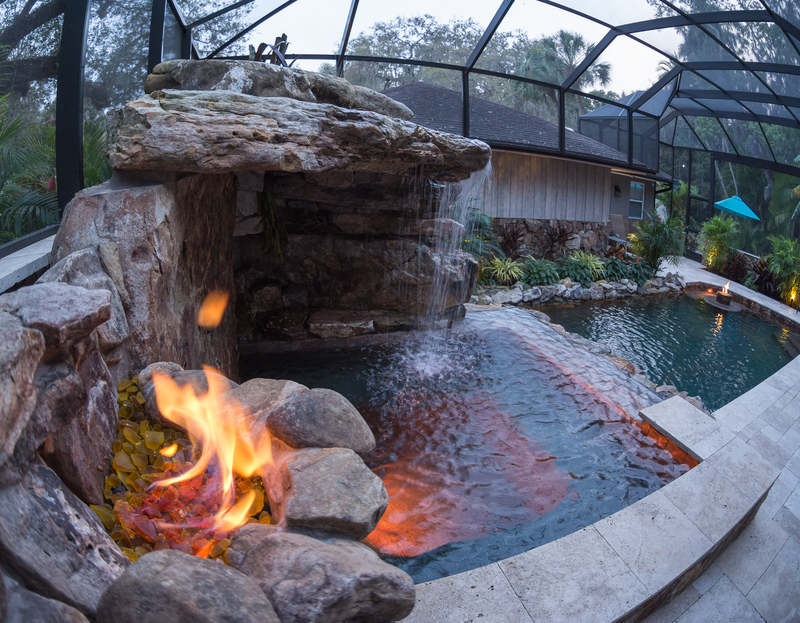 The pool deck was removed to make way for new plumbing, an 8’x8′ spa, two grottos and three fire pits! 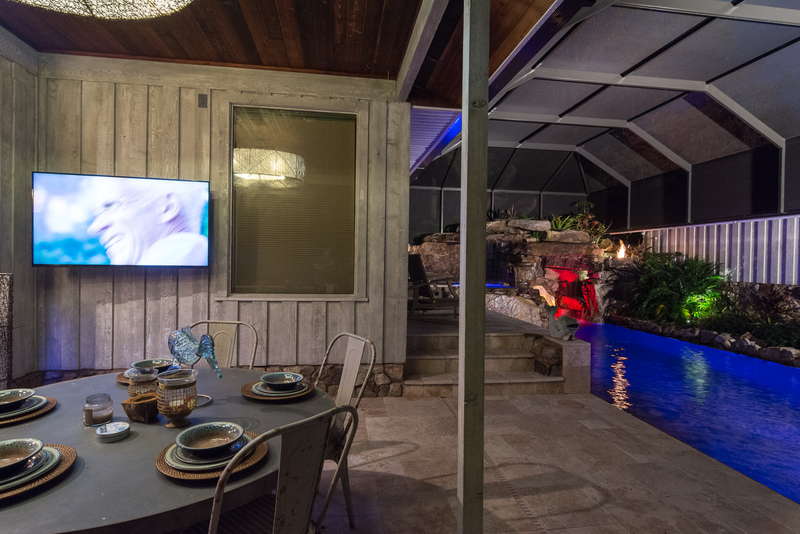 Working in a very tight space between the main and guest houses presents some challenges, but Lucas Lagoons reinforces the pool shell with nearly 40 yards of concrete to support 36 tons of Tennessee fieldstone and an elevated seating area. 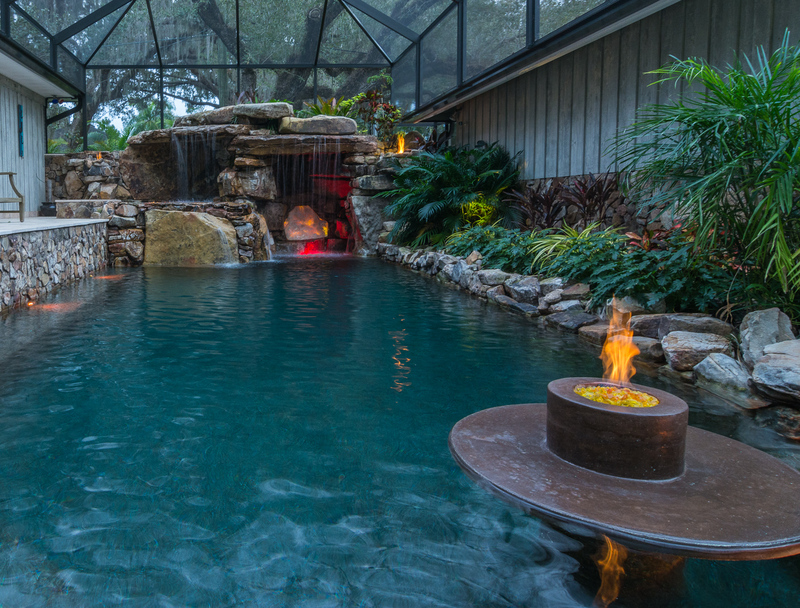 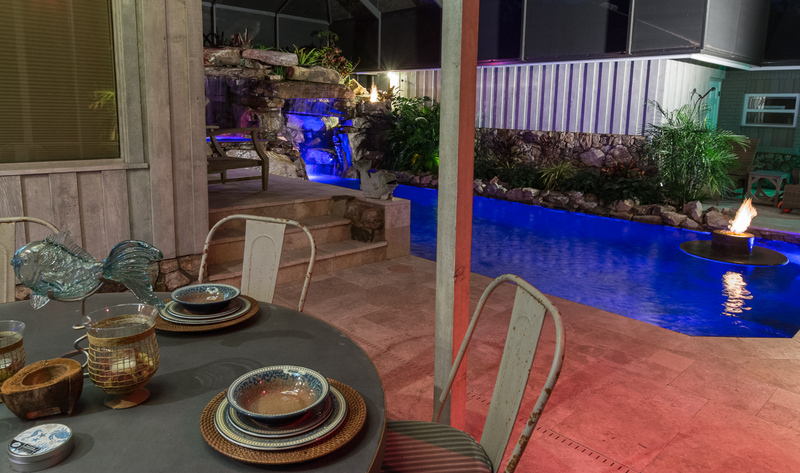 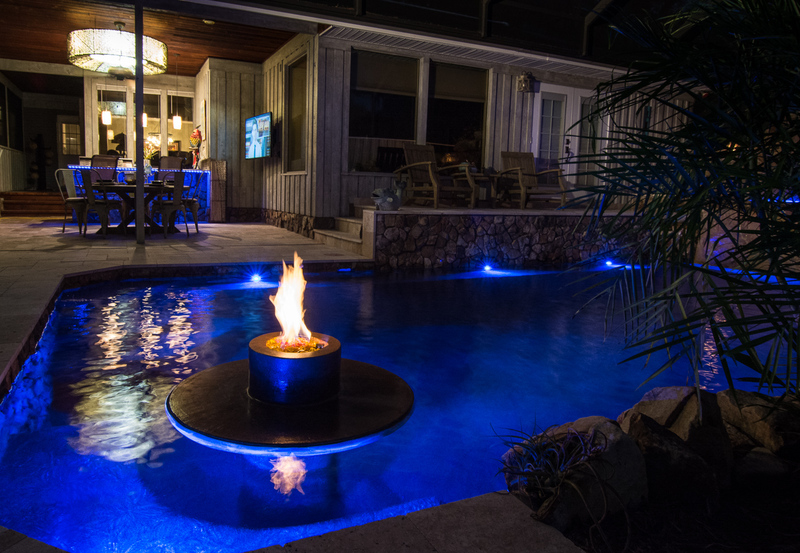 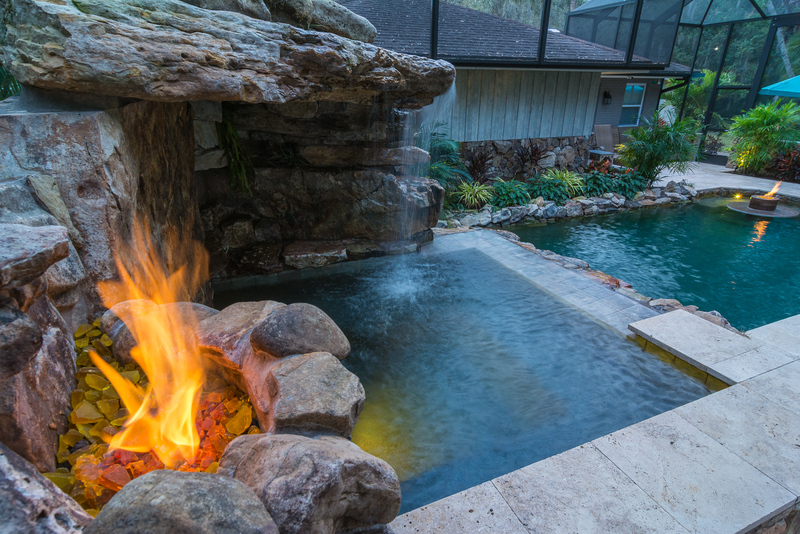 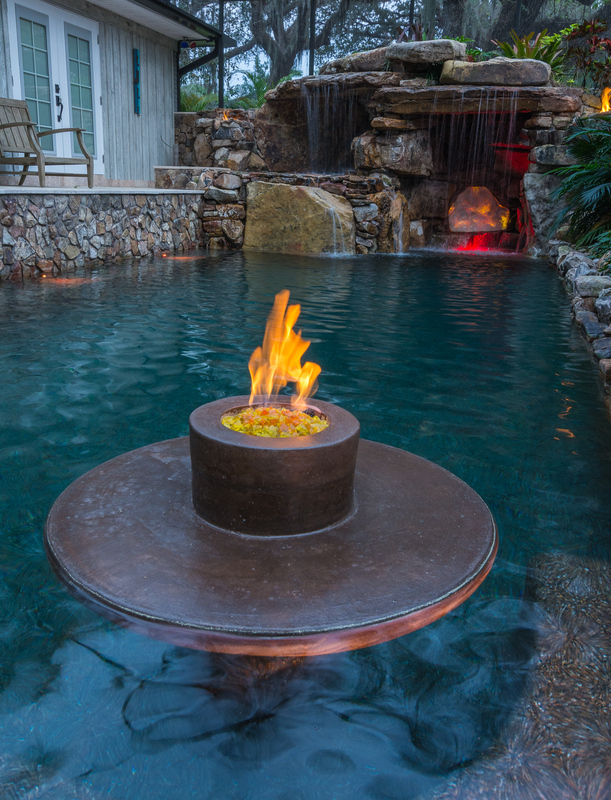 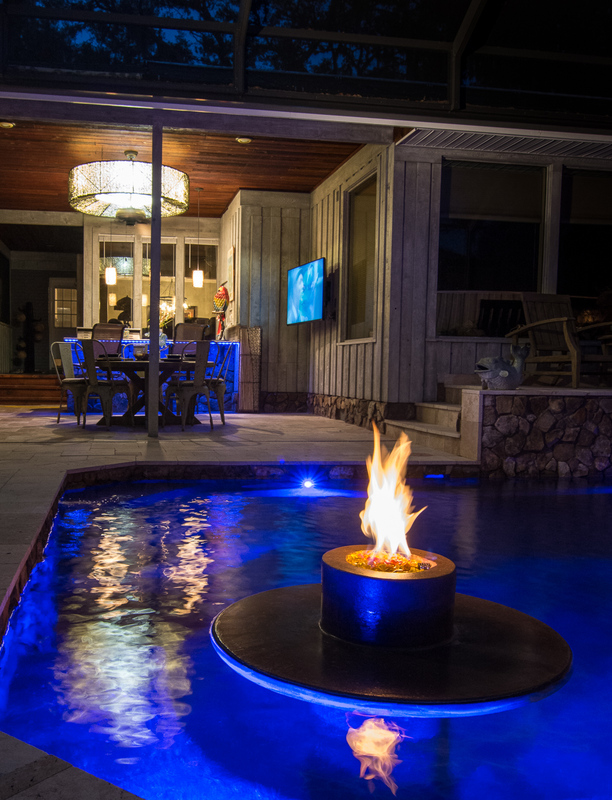 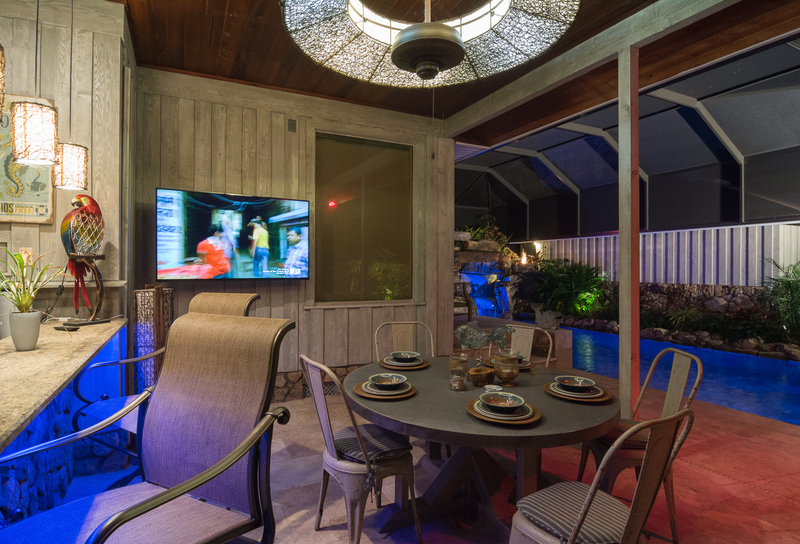 With the special addition of a glowing Onyx “lava” rock, large sand set travertine deck, a nice kitchen refresh and a bridge to the jungle island, this Lucas Lagoon is another insane pool! 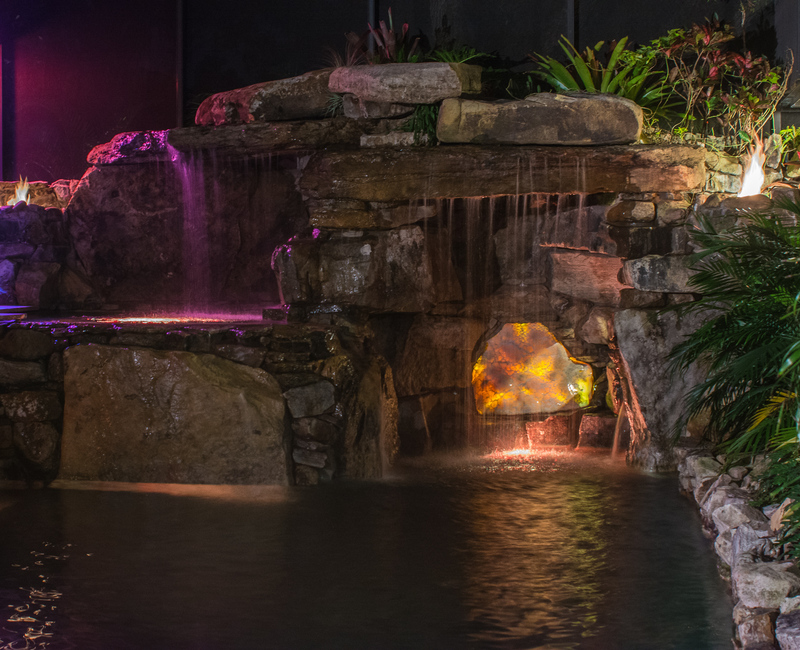 For this project Lucas tapped into the capabilities of Robert Krolikiewicz at International Artistic Stone for an amazing glowing Onyx centerpiece. 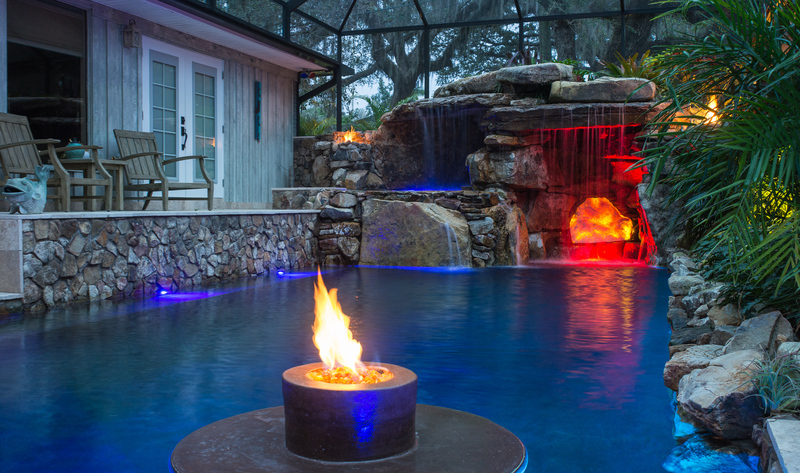 With well over 60 hours into creating a natural look but allowing light to shine through, Robert chipped, ground and polished to realize the vision. 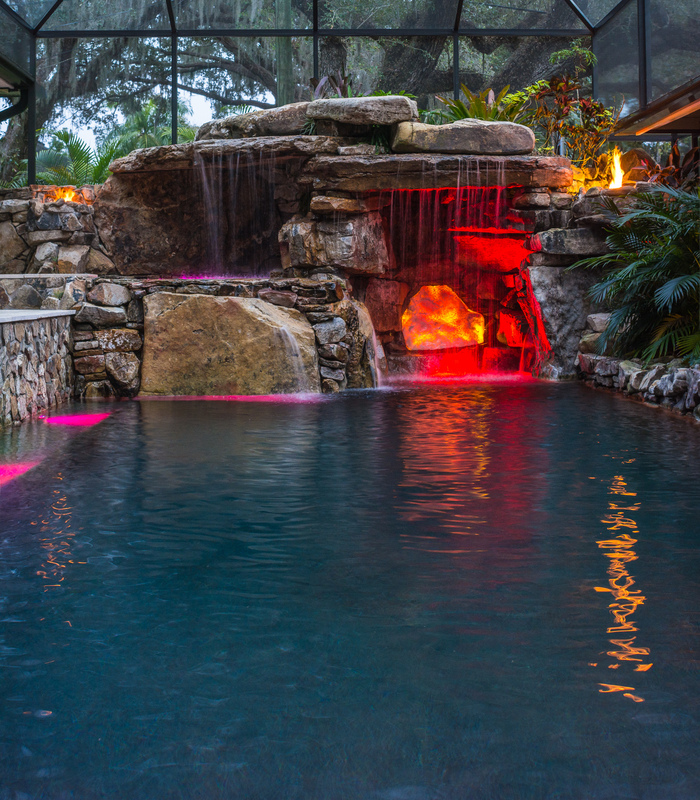 With over 15 years years of expertise in natural stone and custom stone carving, International Artistic Stone is a go-to vendor for Lucas Lagoons and all the insane ideas for lagoon pools. 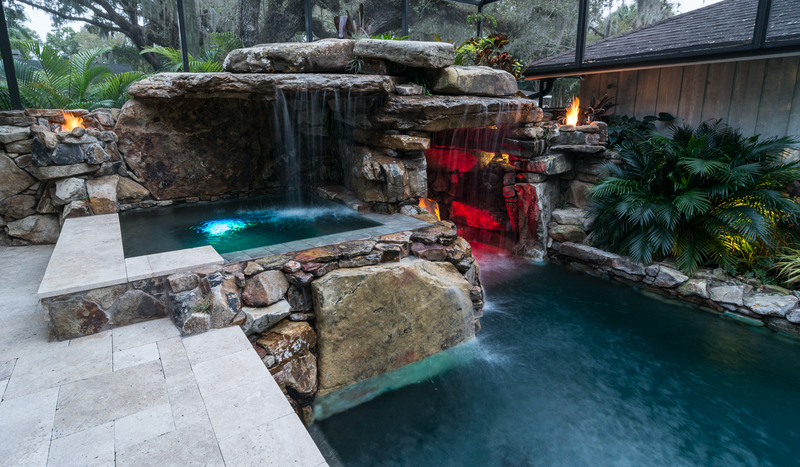 For more on Robert and International Artistic Stone, visit our vendor pages.